IABM Industry Advisory Boards comprise (or ‘are drawn from’) senior executives from end-user broadcast and media companies. The aim of IABs is to promote collaboration with IABM members across technology and business model developments and future requirements, pulling together to plot a successful path forward. 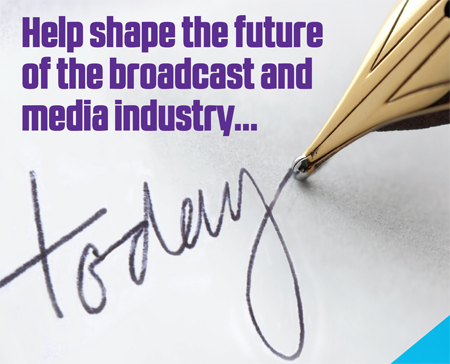 As a buyer of broadcast and media technology, IABM and its 500+ supplier members around the world are asking for your help in shaping the future success of our industry. By joining one our new Industry Advisory Boards, you can share with our members what you need and how they can work with you collaboratively to achieve it in an open, constructive environment. Industry Advisory Boards are a new IABM initiative to provide a platform for continuous dialogue and collaboration between IABM members (suppliers) and their global customers; they are designed to bring the buyer and seller communities closer together for the benefit of all. Drawn from senior broadcast and media company executives, each Industry Advisory Board will consist of a minimum of eight members and a Chair. Industry Advisory Boards will be organised on a logical industry segment basis. There will be a minimum of eight media company representatives on each Group. Each Industry Advisory Board will initially be formed by invitation only from the pool of applicants and shall meet approximately three to four times a year. Investing just a small amount of your time to participate in our Industry Advisory Board gives you a unique opportunity to influence the way our industry works to help us all do better business. You will also benefit from IABM’s extensive range of member services, providing excellent insight for your organisation across best practice, standardization, interoperability, industry-leading research and business intelligence reports. And you will gain access to IABM’s extensive program of summits, receptions, meetings and networking events. Why is IABM doing this? Feedback from customers who have already had a fantastic experience attending our collaborative events have asked to be more involved in the activities of IABM. Only by bringing together both ends of the industry can we all truly prosper and successfully navigate the structural transformation our industry is going through right now. IABM is uniquely placed to make this happen. It is the only international trade association for suppliers of broadcast and media technology. 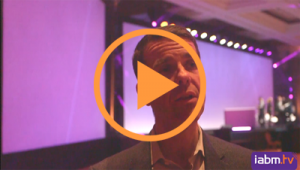 You can look to IABM with confidence to provide the leadership, solutions and platform for collaboration that we all need. Working together, we can keep ahead of the growing complexity of requirements, rapidly changing business models and onrush of new technologies.